Mike McQUAID, Falkirk Victoria Harriers. Mike was a prolific racer on road and cross-country. He was part of the victorious Falkirk Victoria team in the 1990 Edinburgh to Glasgow Road Relay, a race he ran frequently, and added silver in 1993. Later on he won medals in the Scottish Masters Cross-Country championships and ran in the British and Irish Masters International Cross-Country. Bryce was a familiar figure on the Scottish scene for many years in the 1960’s and 70’s. He ran in many of the summer road races as well as in just about every winter championship and classic race on the calendar. He trained for a while with the Motherwell YMCA men in the 60’s but never ever left Larkhall YMCA. David was an immensely talented young athlete, winning Scottish XC titles at three levels: Junior Boys, Senior Boys and Youths. After winning the1982 Youths, he ran for Scotland in the World Junior XC Championships. In 1984 he finished third in the Scottish Junior National, leading Cambuslang to team gold, and again ran the World Junior. In the E to G, he contributed to bronze medals in 1988; in the Scottish XC Relay, gold (1984) and silver (1987); plus gold in the 1986 Six Stage Road Relay; and team gold in the 1989 Senior National. Known principally as a cross-country runner, David was also a good road runner and a member of some very good Cambuslang medal winning teams alongside such as Alex Gilmour and Eddie Stewart. 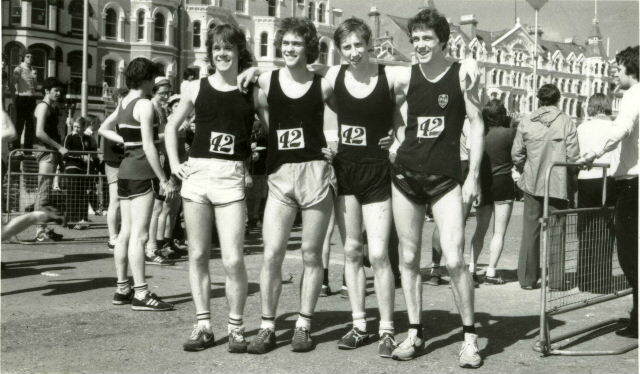 Alex, Eddie, David and Jim Orr were all Cambuslang runners in the World cross-country championships in 1984. 1978: 1500m 3.49.6; 1980: 3000m 8.09.1; 1981: 5000m 14.05.5; 1982: 10,000m 30.10.79. 1981 800 1.53.7; 1981 1500 3.51.3. In 1979, Duncan ran for Scotland in the Junior World Cross-Country championships. In 1980 Bellahouston won bronze medals in the National Junior Cross-Country. He ran the E to G in 1981. The international vest in 1978 was after finishing sixth in the Junior National. The Scottish age groups were at variance with those employed by the World body and it was possible to be a junior at home but ineligible for international duty. Two of those in front of Robert were in that category. For Clydesdale, he ran the E to G six times between 1976 and 1982. 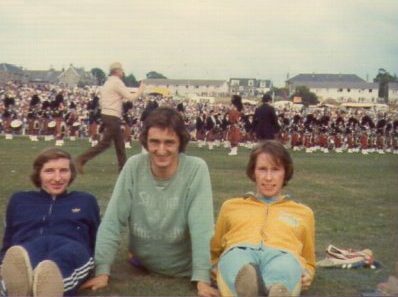 Robert also ran the Aberdeen marathon in 2:31:00 in 1983, and also ran from Glasgow to Fort William with Jim and Bobby Shields and George Carlin. Bob ran well in the North District XC League races. Colin ran fast in the competitive Scottish Six-Stage Relay. In the M40 Scottish Masters Cross-Country championship he finished second in 2001 – and then won a gold medal in 2003. In 2001, he was part of the Scotland M40 team in the British and Irish Masters Cross-Country International, had a good run and contributed to silver medals behind England. He did well in the very last E to G in 2002. In 2012 he was President of Lothian Runners. George was a good runner with Teviotdale and stayed with the club for hies entire running career. Starting out as a Junior in 1960 in the team which finished second to St Andrews with the other runners being Mather, Harley and Roden; then in 1961 he was in the team that finished first, with RK Harley, P Roden and D Riddell, from Glasgow U in second and Edinburgh U in third. These were the only national team medals he would receive. His first run in the Edinburgh to Glasgow was in 1959 – and the team won the medals for the most meritorious unplaced performance with George on the fourth stage handing over to John Hamilton who would become the Scottish international team manager. He was to run stages 4, 2, 6, 6, 5, 7, 2, 2, 6, 2, 2, 6 (1980), 6 with his string of appearances curtailed by the fact that Teviotdale were not in the race. In all, he ran the E to G an impressive 13 successive times (1959-1971). In 1959 they were 6th and won the ‘most improved’ medals. The number of runners of ability who had left the club for neighbours in Edinburgh had taken a club regularly in the top seven or eight down to twentieth in 1981. George is well known for his association with the Eildons Two Hills race at Melrose – a race which he has won many times, and which he has played a large part in organising..
Les was an invaluable member of Shettleston’s very successful teams, contributing to 1970 team bronze in the Senior National Cross-Country; and running the E to G 12 times, including: gold in 1968 (when he was fastest on Stage 7), 1970, 1971 and 1972; and silver in 1967 and 1969. A very quiet, unassuming runner, Les turned up, did his work efficiently and without fuss, and as a result maybe gets less credit than he is due. 1969 10,000m 31.52.0; 1982 Half-Marathon 66.48; 1982 Mar 2.27.31. George was a tough runner who matured very well as a veteran. In his youth, he ran the E to G four times, winning three medals: silver in 1978 and bronze in 1970 and 1980. He won the Scottish Veterans M40 cross-country title in 1990. For several years he ran consistently well for Scotland in the annual British and Irish Five Nations Masters International XC. 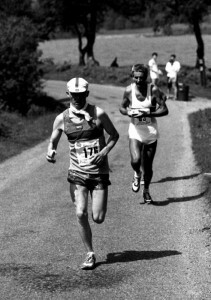 In addition, George secured a silver medal in the 1990 British Veterans 10 miles road race. Once a knee injury stopped him racing, he turned to indoor rowing and won British age-group titles and World championship medals. William was a Scottish International track athlete, who in the Scottish 880 yards championships, won silver in 1951 and bronze in 1983. Duncan won the AAA Indoor 880 yards title in 1967 and added bronze in 1968. He became Scottish Champion in 1967 and that season set new Scottish Native and National records at the distance. Gary was a popular and very talented young athlete who could have tackled any event with success. A good track runner, was a Scottish International athlete over One Mile. As a Youth he ran in the SAAA championships as was, many of thought rather harshly, disqualified from third place for barging – on the first bend of an 800m not in lanes! He won a silver medal in the 1980 Scottish 800m championships. He also won the British Catholic Schools 1500m and then European Catholic Schools 1500m in Spain. As a cross country runner he won the SCCU Under 13 title in the colours of St Columba’s HS in 1974/75, was second in the Under 17’s in the Clydesdale Harriers vest in 1978/79 and having finished 8th in the 1980 Scottish Junior National Cross-Country, he ran for Scotland in the World Junior Cross. In the 1975 Junior National XC, EU won team bronze medals. Graham ran the E to G in 1973 and 1974. Tony was a hard-racing, very sociable runner who was a talented miler at Kelvinside Academy. When he went to AU in September 1971, he met Don Ritchie and ran many weekly training miles. Tony represented Scottish Universities frequently at cross-country and finished a very good 19th in the 1974 British Universities XC championship. Then, aged 21, he ran well to be 7th in the Scottish Marathon. He ran the E to G in 1974. After graduating in 1975, Tony worked for VSO in Fiji and spent five years there. He became a Fijian International athlete and, despite heat and humidity, in 1980 won the Meda-Reki Marathon. For many years, Tony coached young runners, many from Edinburgh’s Merchiston Castle School. For some years, he was a successful distance runner in the North of Scotland, winning the North District cross-country title in 1984. A top class decathlete at Glasgow University he won medals at national level for both decathlon and 440y hurdles as well as at District and County championships. He competed for his club in all kinds of inter-club competitions and at one time was one of four sub-two 880y men in the club (Mills, Jack Brown, Colin Martin and Jack Baird). He became a good cross-country runner running all the major races and ran in several Edinburgh to Glasgow relays. Graham was a dedicated, tenacious, influential runner who enjoyed a long successful career. In 1981 he ran for Scotland (against England and Wales) in the Aberdeen Marathon. In 1982 he was part of the ten-man Aberdeen AAC team which smashed the record for the John o’Groats to Land’s End relay. In the E to G, he contributed to Aberdeen’s first-ever victory in 1983, as well as one silver and three bronze medals. Graham loved the E to G and ran it many times for Aberdeen, Forres Harriers (1978) and the North District Select (1986-1993). In the Scottish XC relay he secured two silver medals; and bronze in the Six-Stage Relay. In the Senior National XC he added four more team bronze medals. As a veteran he won the Alloa to Bishopbriggs 8-Man Relay; several age-group cross-country championship medals; and ran often in the British and Irish Masters XC International. Jimmy won a silver medal in the 1973 E to G; and team bronze in the 1971 Senior National XC. After finishing second in the 45 miles Edinburgh to Glasgow ultra-marathon in 1970, he was victorious in 1972. The 1972 Two Bridges 36 mile ultra was a triumph for EAC, with Alex and Jim Wight and Jimmy Milne (who finished 9th) combining to win the team award in front of the perennial favourites, Tipton Harriers from England. He was 18th in the 1974 Scottish Senior National, when EAC won the team title. Gordon finished second in the 1982 Scottish Junior National XC and ran for Scotland in the World Junior Cross, in which he was a team counter. He ran the E to G six times, being fastest on Stage 4 in 1984 and winning team gold in 1984 and bronze in 1985. In the Six Stage Road Relay, he added silver in 1982; and in the Senior National Cross-Country, team bronze in 1984. Hugh came to running, like many of his generation, from cycling. The club’s centenary history says that he joined the club at the age of 28 to get fit while recovering from an injury sustained while cycling. Hugh’s talent for distance running would soon become apparent, though as he said himself’ he always got left in the sprint at the finish. On the other hand he also said that distance didn’t bother him, he forgot about time when he was running. He ran in road and cross country races including the E-G and the National but it was when he finished second to Alastair Wood in the SAAA marathon in 1964 that he started to get recognition at national level. 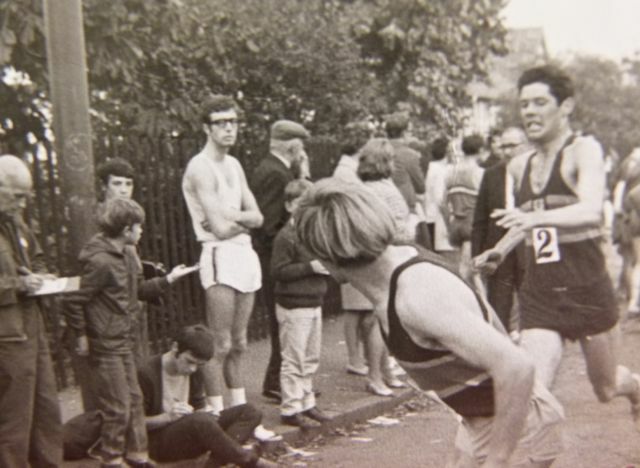 He was runner-up again in 1969, this time to Bill Stoddart, in 2:31:20. He ran a high weekly mileage, often as much as 200 miles in a week, and this set him up for ultras such as the Two Bridges, the Edinburgh to Glasgow 44 and the Liverpool to Blackpool 48. He finished fourth twice in the London to Brighton. After his first ultra, the Isle of Man 40, in which he finished second, 34 seconds behind John Tarrant, the Ghost Runner. Four years later, Hugh returned to the island to win the race in 4 hrs 12 mins 07 secs. He ran the 44 mile race from Edinburgh to Glasgow six times setting a new record in 1968 of 4 hrs 39 mins 55 secs. His ultra running ability was famous as was his weekly training load. His marathon pb was 2:26:11 and he was ranked in the marathon every year from 1963 to 1967, with one exception. He also ran a Six Miles in 31: 42.4. As a veteran he was second in the inaugural SVHC XC in 1971, when Shettleston won the team title; and second in the first official Scottish Veterans XC in 1972. In 1979 he won the Scottish M50 title. 1974 5000m 14.58.4; 1971 10,000m 31.07.0; 1968 10M Track 53.58.5; 1971 Marathon 2.42.42. Innis, a determined, sociable, charismatic man, was Scottish Schoolboys XC champion in 1966. In the E to G, he ran for four clubs – Aberdeen AAC, Strathclyde University, Victoria Park and Glasgow University – a total of 11 races. He was awarded full blues for XC at both Strathclyde and GU and ran regularly for Scottish Universities – as well as finishing second in the 1975 Scottish Universities XC championships. In 1973 he ran in the Aberdeen team which broke the record for the John o’Groats to Land’s End 10-Man Relay. When he moved north and competed for Inverness Harriers, he did well in hill races, North District XC Championships and League contests, over infamously challenging courses. After succeeding in Eventing (with horses) he took up time-trial road cycling. Robert ran well in a number of Scottish championship races: with AU, winning team bronze in the 1979 Junior National XC; for AAAC, securing 8th place and the ‘most improved’ medals in the 1979 E to G; and adding team bronze in the 1981 Six-Stage Road Relay. Terry had a marvellous running career, winning the Scottish Marathon in 1987 and 1991 (plus another two silver medals and one bronze in the same championship); being Scottish 50 km champion four times; and running for Scotland on Track, Road and in the World Cross. Ian was a great friend of Jim Brown They came through school and club together (Bellshill Academy and Bellshill YMCA) but Ian did not join Monkland H when Jim did, remaining with Bellshill. He went to Stirling University. Afterwards went into teaching and moved around the country: Tobermory for a while, then up north to Forres and won the 1982 North District XC title. For Clyde Valley, he contributed to silver medals in the 1981 E to G. Then he headed for the Dundee area where he ran for Dundee Hawkhill for a bit. He ran for Clyde Valley in three E-G’s., and was also in team which finished second in the National Cross Country in 1980. In the 1962 Scottish Junior National XC, Teviotdale won team bronze medals; and he went on to run for Scotland in the International Junior XC Championships. He ran the E to G in 1961, when his team finished 6th. In the 1954 Senior National XC, he finished 25th and Shetteston won the title. John came into running from football and, living in the Milngavie area, did a lot of running with the Allander Auld Runners. Willie More was a highly respected runner whether it was on the country, track or roads during the 1950’s and 60’s. Best known as a track runner over all middle distances who was quite quick over the One Mile distance, the tall More was a natural steeplechaser. He had many invitations t top class races such as the attempt on the Scottish One Mile record at Carluke by Graham Stark in 1959. It was a short limit handicap with Stark from scratch and More off 15 yards. The record was not beaten that day but it was a good run by More. He won many an open handicap at meetings all over Scotland including the bigger ones such as the Rangers Sports. Cross-country, his first run in the junior national was in 1954, and although he ran well enough on the surface, his best race over the country was in 1957/58 when he won the South Western District championship. Pat was a very good runner who progressed through the age groups with Cambuslang. As a Junior Boy in 1980 he was eleventh in the National, in ’82 as a senior boy he was eighth, and in his first year as a Junior Man he was second. The following year ( 1985) he was seventh. As an ‘International Junior’ he could have been selected for the International. The Scottish Junior age group had a different qualification date from the ICCU one and he was within the ICCU guidelines. He was not selected and there were protests and petitions, etc but Pat was not selected until one of the chosen had withdrawn thorough injury. On the roads, he won a silver medal with Cambuslang in the 1984 E to G.
Pat then went on an athletics scholarship to Alabama University and ran well there before moving to Birmingham, Alabama. He stayed there and has not returned. His sister Sharon was also a good class athlete and his father wa also a member of Cambuslang. Robin was dedicated to EAC; and to Scottish Hill Runners. With EAC he won team gold medals in the Senior National XC in 1973 and 1978, plus silver in 1979. He ran the E to G in 1972 and 1974 (4th). Robin was one of the founders of the SHR (or the Scottish Hill Runners Association as it was named originally) in 1983 and the first Secretary. He also won the first Scottish Hill Running Champion in that year. He was the organiser of many races over the years, including Glamaig, Tinto, Pentland Skyline and Chapelgill and was one of the instigators of the Carnethy 5 race. Brian finished third in the 1969 Scottish Junior National XC and ran very well for Scotland in the International Junior XC Championships, finishing 19th. David joined Shettleston Harriers in 1933 and was a lifelong supporter of the club and all its activities. Henry was a decent marathon runner who did well as a veteran athlete. He ran for Scotland versus England and Wales in the very first annual British and Irish Masters XC International in 1988; and won the M50 Scottish Veterans XC title in 1994. In the British and Irish, Henry contributed to team gold medals: M55 in 1994; M60 in 1995; and M65 in 1999. He won medals before the War as a runner and contemporary of such as Jim Flockhart. As a veteran he set world records in no fewer than six events. In between times he became a field events expert and coach and also officiated all meetings in all capacities. Jim took up running late but was always enthusiastic and friendly. He was part of the Aberdeen team which finished second in the 1981 Scottish Masters XC championship. In 1988 he won a silver medal in the M50 age group of at Clydebank; and later that year ran for Scotland (versus England and Wales) in the very first annual Masters International XC. He thoroughly enjoyed taking part in Aberdeen success in the Veterans Alloa to Bishopbriggs 8-Man Relay in 1990 (bronze) and 1991 (gold). Norman was a Scottish International runner: on the track; as a Junior in the 1967 and 1968 International XC championships; and as a Senior in the 1973 World Cross. He achieved tremendous success with Shettleston Harriers. Ronnie is a clever, determined, sociable man who has done a lot for the sport: as a competitor, organiser, official and the driving force behind the invaluable internet archive of the Scottish Road Running Commission. William was a Scottish International athlete at 880 yards. He won the Scottish title in 1960 and added bronze medals in 1961 and 1962. George started his athletic career with Kirkcaldy YMCA for whom he ran in all the major championships although he seemed to prefer the road surfaces. He ran in 5 Edinburgh to Glasgow races for them and one for Edinburgh Eastern Harriers, without ever dropping a place. Kenny’s Dad. Kenny was a versatile, friendly runner who ran for Scotland on the track at 1500m. He won the Scottish Indoor 1500m title in 1987; was third in the Outdoor 1500m in 1984; and added bronze medals in the Indoor 3000m in 1990 and 1992. For EU, he contributed to team bronze in the 1979 Junior National XC; and silver in 1981. In the E to G, he ran for EU in 1981, and with EAC in 1982 won a silver medal – he was fastest on Stage 4. He competed every year from 1983-1987, when his team finished second again. In the Scottish Six-Stage Relay, he added two more silver medals in 1983 and 1988. He ran well as a Veteran and then took up Triathlon. He ran several E to G relays for FVH, and gained a well-deserved bronze medal in 1976. Alastair ran the E to G in 1958, 1959 and 1961. Jim was a good runner who later became a well-respected athletics official. He won bronze medals in the Scottish track championships – at 3 Miles (1948) and 6 Miles (1950). In the Senior National, Springburn won team silver in 1951 (when Jim finished 8th) and bronze in 1952 and 1953. He ran the E to G in 1949, 1950 and 1951 (when his team finished third). He was President of the SCCU in 1963-1964; and a fine, popular, efficient Manager for many Scottish International XC Teams. 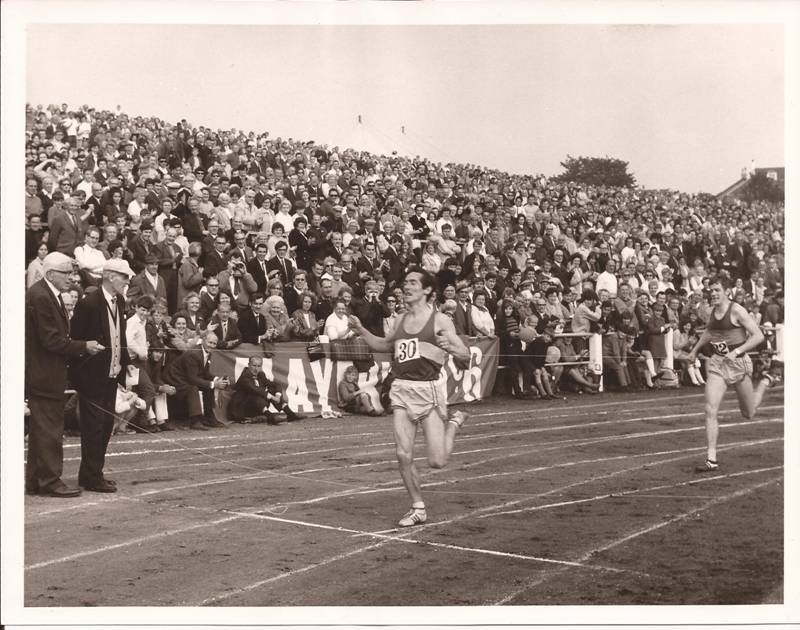 Pat ran for Scotland in the International Cross-Country Championships in 1956, 1957 and 1958. Between 1955 and 1962, he ran 8 successive E to G road relays. In 1955 he was fastest on Stage Two and Vale won the ‘most meritorious unplaced performance’ medals. Pat won a silver medal in the 1956 Scottish 6 Miles track championship. He won the Ben Nevis Race in 1956, breaking the record. In 1955, “Glasgow and District B” – Joe Timmins 5th, Pat Moy 7th and Stan Horn 8th – won the Ben Nevis team trophy. Henry won M50 bronze in the 1989 Scottish Masters XC championship. He founded Haddington and East Lothian Pacemakers and was a fine organiser and journalist whose column in ‘Scotland’s Runner’ magazine helped greatly to publicise Veteran Athletics. For many years, HELP raised a great amount of money for charitable causes. 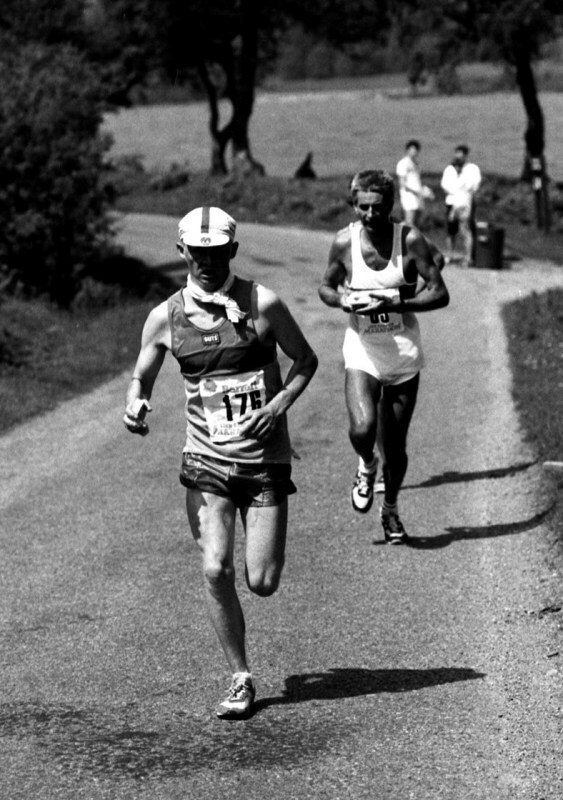 Henry ran the Dundee Marathon in 2.39; won the 1991 M50 title in the Scottish Veterans 10,000m; and was a coach to many athletes, young and older. He was Secretary and Chairman for the SVHC. Bill was a Scottish International Steeplechaser and also competed in the International Cross-Country Championships. In 1988, Clark won the East District Junior XC title and led Pitreavie to team gold medals. Then he won the Scottish Junior National XC championship and later was selected to run for Great Britain in the World Junior Cross in New Zealand. In 1989 he retained his Scottish Junior National Cross-Country title. Clark was the first Scotsman to run for Great Britain in the World Cross-Country Championship after the Scottish team was dropped from the competition. Alan was a Scottish International athlete at 800m and 1500m. He won medals in Scottish Championships: outdoor silver in the 1989 800m, bronze in the 1995 400m; indoor silver in the 1988 400m and the 1988 800m. Brian was a very good athlete who worked his way up through the age groups winning medals at SAAA and SSAA age group championships and went on to become a Scottish International track athlete at 800m. He won an outdoor silver medal in the 1993 Scottish 800m championships; and indoor bronze in the 1993 800m. In 1991 he ran the E to G.
An RAF man Callum travelled the length and breadth of the country during his service career. This accounts for what might be seen as a rather ideosyncratic racing pattern. Callum won two bronze medals in Scottish Athletics Championships: 1983 5000m and 1987 10,000m. In the E to G, he contributed to team silver in 1986 and gold in 1987. Ewan was a good club runner as a young athlete (he won team medals as a cross-country age group runner) and raced for the club in track (mainly 800m), road and cross-country events. He is much better known however as a long serving secretary of the SAAA who became President of the SAAA and was Scottish representative at the AAA committee for a spell. 1984 800m 1.52.4; 1984 1500m 3.50.58; 1989 10,000m 31.11.4. Mike was not only a fine track athlete but also an invaluable runner who contributed a great deal to team successes in road relays. He ran the E to G eleven times, contributing to gold medals in 1983 and 1986, and four bronze medals too. In the Scottish Six Stage Road Relay he added bronze medals in 1981 and 1989; and silver much later (for Metro Aberdeen RC) in the 1999 Scottish Veterans Six-Stager. Perhaps his most surprising feat was enduring the 1982 John o’Groats to Land’s End 10-Man Relay, when AAAC smashed the record. 1980 3000m Steeplechase 9.24.18; 1980 Marathon 2.28.25. Married to Barbara Harvie. Father of Callum, Declan and Seonaid Murray. Raph was a cheerful, sociable runner who ran the E to G for GU three times; and won a bronze medal with AAAC in the 1981 Scottish Six Stage Road Relay. He secured a Scottish Veteran track title in the Indoor championships in the Kelvin Hall. Tommy was a Scottish International athlete on the track, on the hills and in the World Cross. 1963 2M 9.30.0; 1969 3M 14.11.2; 1967 6M 29.43.0x; 1967 10M 50.39.0; 1964 3000S 9.41.6; 1965 Mar 2.30.20. Bill won three medals in Scottish Athletics track championships: silver in the 1962 3 Miles; and bronze in the Track 10 Miles in 1965 and 1967. Between 1959 and 1968, he ran the E to G 9 times for Greenock Glenpark Harriers. In 1969 he was in the ESH team which won the E to G.
Jon was a tall, powerful runner who did well on the hills (for example winning the Braemar hill race and setting a record for the Great Wilderness Challenge 25 miles race); and in the E to G, which he ran four times for AAAC, between 1990 and 1994. However, he was best as a GB International Orienteer. His finest achievement was winning a rare British silver medal in the 1993 World Orienteering Championships in the USA. Jon was British Orienteering Champion four times and also won the 1997 World Masters title. Now he coaches the British squad and organises ‘Running the Highlands’ – see the website. 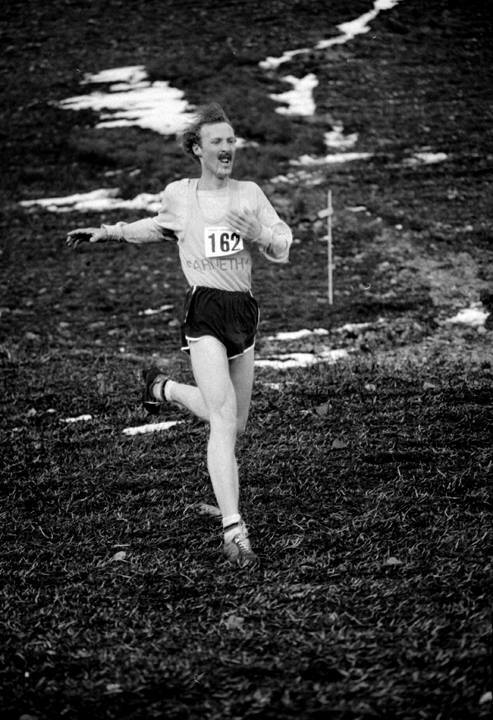 John was a tall, slim, strong, well-respected runner who had a real talent for cross-country – he represented Scotland in the Junior and Senior International XC championships.